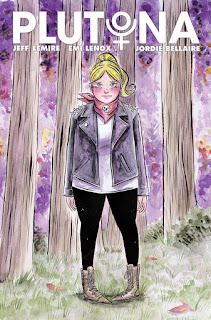 It is fitting that I spent my Thanksgiving break reading Sweet Tooth by Jeff Lemire and am treated to the latest issue of the amazing Plutona. If you have never read a book by Lemire, I recommend starting with Sweet Tooth, but you really can't miss with any of his work. I have even attempted to figure out a way to make Essex County required reading for the Sport and Society classes I teach. While he hasn't slipped hockey into it yet, I am assuming that Lemire will find a way to fit it into Plutona at some point soon. 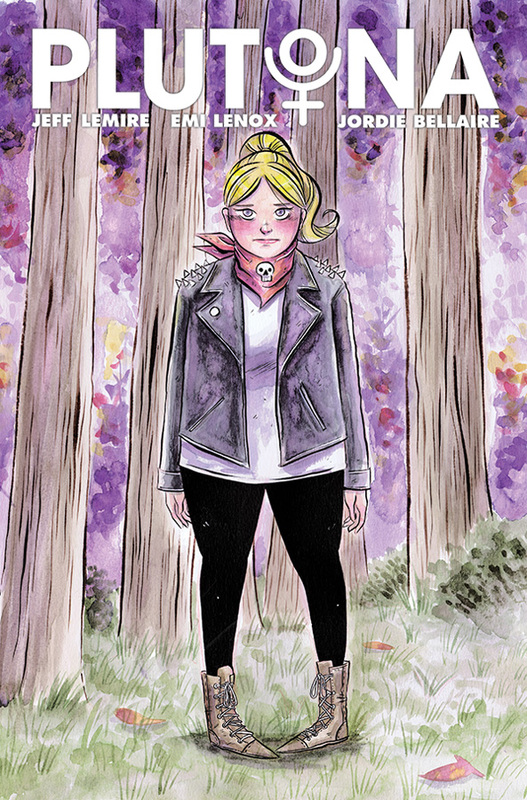 Plutona #3 - This book by Jeff Lemire and Emi Lenox takes an interesting twist in the latest of this Stand By Me-esque tale. If you recall, this is a story about four students (and a younger brother) who discover the dead body of the superhero Plutona. In this issue the gang returns to bury the body of Plutona, but are shocked to find her missing. Teddy, a cape chaser who participates in online groups who track superheros, ducked out earlier in the day to check on her, but couldn't find her after an exhaustive search of the area. With no news making headlines, the crew is curious why her body hasn't been reported. I don't want to spoil anything, but the reason that they hadn't is brilliant and I am very excited about where this series is heading. One of my favorite touches on this book is the story of Plutona's final fight, which is brilliantly illustrated by Lemire and is at the conclusion of each issue. Highly recommend this one. Nailbiter #18 - This is without a doubt the best horror title on the market. Sixteen serial killers were born and raised in Buckaroo, Oregon and it seems like there is something that is at the root of this. Shannon is finding out some new information about what might be suppressing the information on serial killers in Buckaroo. Unfortunately, when you tend to get a good lead in Buckaroo, bad things happen. 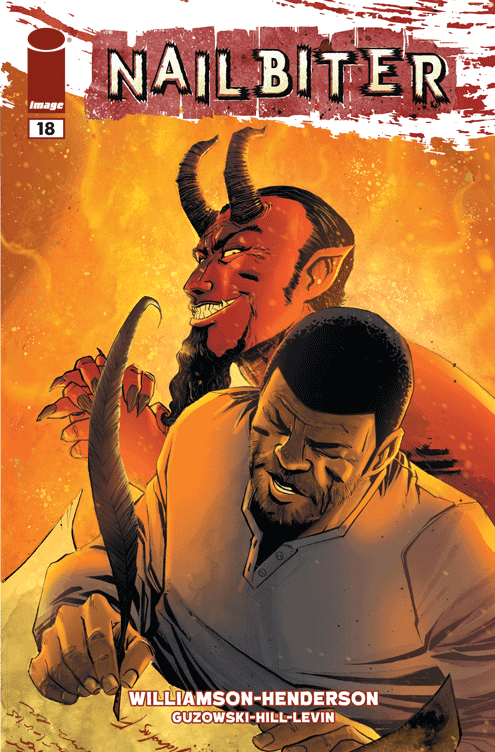 Meanwhile, Finch and Barker are investigating a serial killer in Atlanta that may tie back to Buckaroo and find themselves in one of the most interesting developments yet. Star Wars #13 - When we last left, Luke's X-Wing had been shot down and he had just found an old Jedi Temple on the surface of the planet where he crashed. 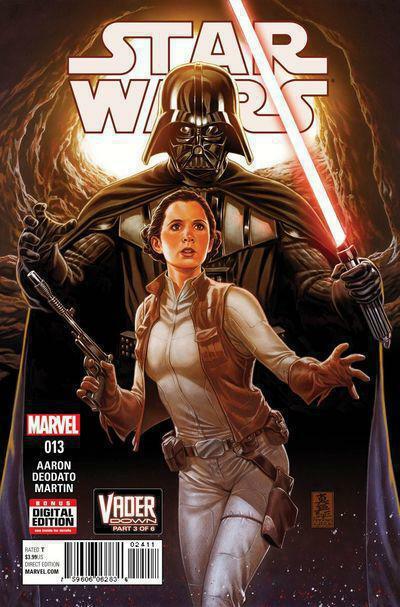 Confusing Triple-Zero for C3P0, Luke finds himself captured by Dr. Aphra, Vader's assistant. One of my favorite things in this issue, is how evil Aphra's droids are. Triple-Zero has a love of torture and her astromech droid is packing an insane amount of heat. This issue is probably the most action packed issue yet, and if you are having as hard of a time waiting for The Force Awakens as I am, these comics are the perfect fix. Daredevil #1 - While it is odd reading a Daredevil title penned by Charles Soule, I must admit that I really enjoyed this dark new direction for the man with no fear. 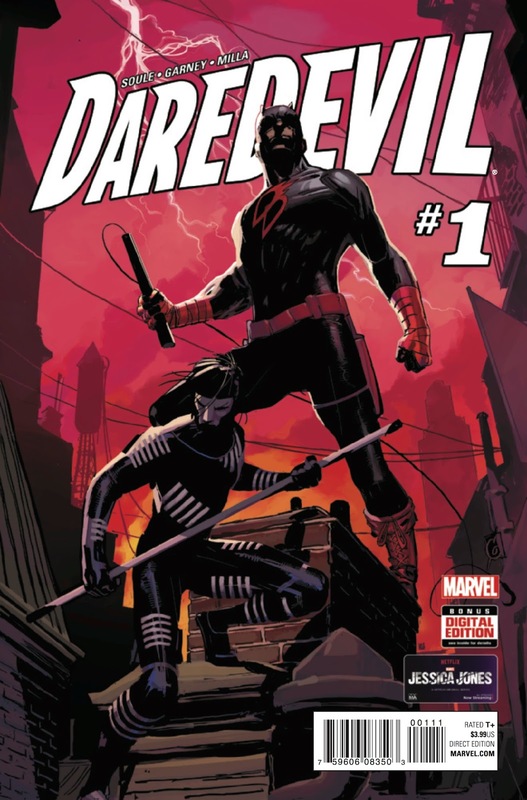 Daredevil, who is now teaming up with a new partner named Blindspot, are protecting a witness from the crime lord Ten Fingers. In this reboot, Murdock's secret identity remains secret and has returned to Hell's Kitchen. While it was different than I expected, it was an interesting start and I am looking forward to reading Soule's run.